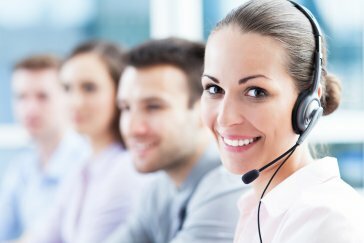 Our business is a full-service business process outsourcing call center. Offering onshore and offshore outsourcing, focusing on inbound call center services, data entry and data processing services, back office outsourcing services and business outsourcing services as per the client requirements. Now more than ever, business face the pressures of shrinking budgets and increasing demands. More Importance has to be placed and money spent on marketing efforts to keep things afloat. With competition rising, business also need to focus on what will keep the customer satisfied. Q-Tell Support Solutions can help you balance all these demands. Our solutions and effective call center strategies are here to ensure that business runs smoothly and effectively, and at a low cost to you. 24-7 live operation, outsourcing, media response, order taking, high and low volume live call handling campaigns, web based data capture, VPN linking, IVR integration. Mortgage & loan enquiries and applications, claims lines, customer service, product advice & support, help desk, information lines..
Personalized greeting, professional receptionists, reception service, multi-site cover, call ‘patching’ to individual staff members, message taking, diary booking, instant messaging. Simple, cost effective, easy setup, personalized live call handling and telephone answering, message taking, fax to email and business addresses. Fast messaging by sms and email. Mail order, PSP integration, charity donation lines and fulfilment. PR response lines, product support, product recall, 24 hour advertising response, charity donation lines, brochure requests, competition lines. Rota management, escalation procedures, disaster recovery, lift and escalator, security, facilities management and I.T. industries. IVR system, voicemail, and live call center integration, data capture, transcription, multilingual. Ideal for brochure requests, donation lines, competition lines, voting and destination routing. © Q-Tell All rights reserved.